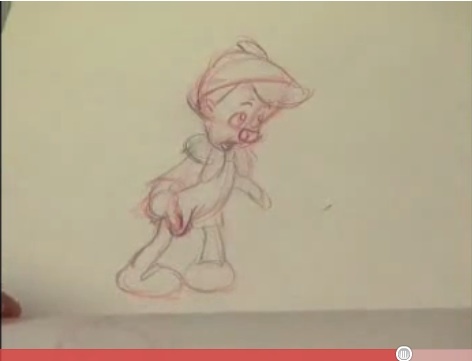 Here’s a wonderful clip that I just ran across of Disney animator Glen Keane talking about Ollie Johnston’s work. In it, Glen talks about the richness of Ollie’s drawing (“It’s like there’s a lot of calories in these drawings”) and provides insight into what it takes for an animator to bring drawings to life. 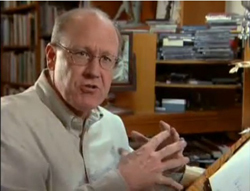 Glen worked under Ollie when he started at Disney and Ollie’s huge influence on him is plain in this clip as well as in Glen’s comments in the film Frank and Ollie. I get the impression that Fred Moore had the same kind of influence on young Ollie (who worked under Freddie when he began at Disney). Johnston still had one of Fred’s pencils as a talisman taped above his desk when Frank and Ollie was made. 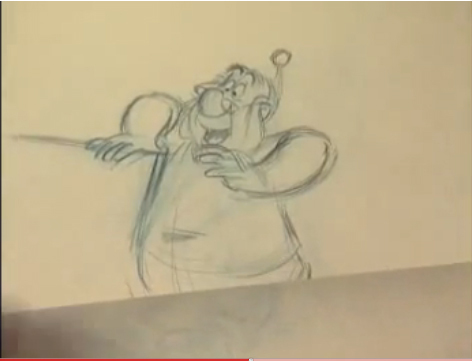 As Glen talks, he flips through Ollie’s original drawings, so that you see not only what’s so alive in each drawing, but how they work as animation. What a treat! "It's like there's a lot of calories in these drawings"